Today, disciplines as programing and electronics become highly transversal, blurring old boundaries and merging different fields of knowledge. Fashion has been already highly affected by this radical change. Clothes, shoes, and other accessories can now incorporate elements of hardware and software, generating a peculiar mix between fashion and computation that is incredibly fertile and inspiring. Data becomes beauty; interaction becomes emotion. As a result, a new esthetic is emerging. 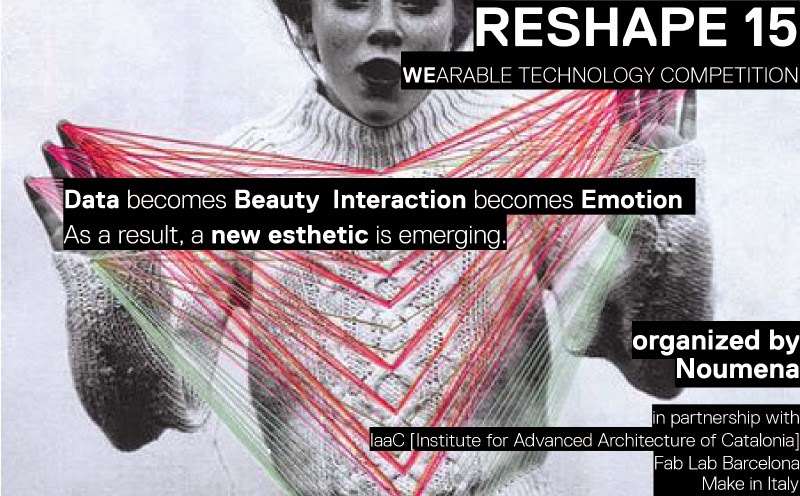 Reshape focuses on this, proposing with this competition, a new challenge for makers and designers.